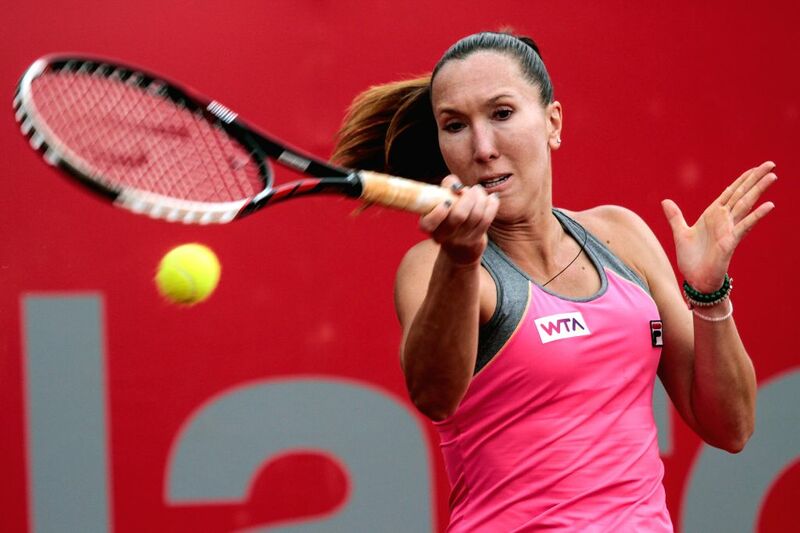 BOGOTA, April 12, 2014 - Jelena Jankovic of Serbia returns a hit to Lara Arruabarrena of Spain during their quarter-final match of the Claro Open Colsanitas of the Women's Tennis Association (WTA), in Bogota, Colombia, on April 11, 2014. Jelena Jankovic won 2-0. 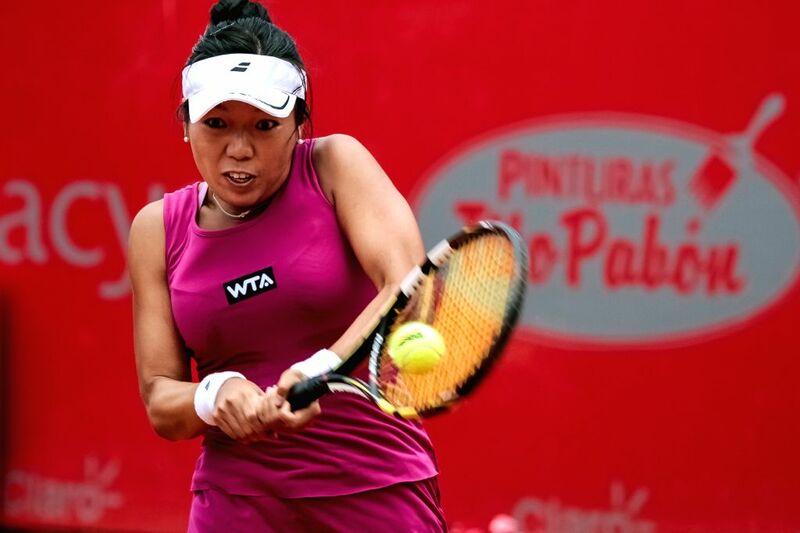 Vania King of the United States returns a hit during the quarter-final match against Mariana Duque-Marino of Colombia at the Claro Open Colsanitas of the Women's Tennis Asociation (WTA) in Bogota, Colombia, on April 11, 2014. Vania King won 2-0. 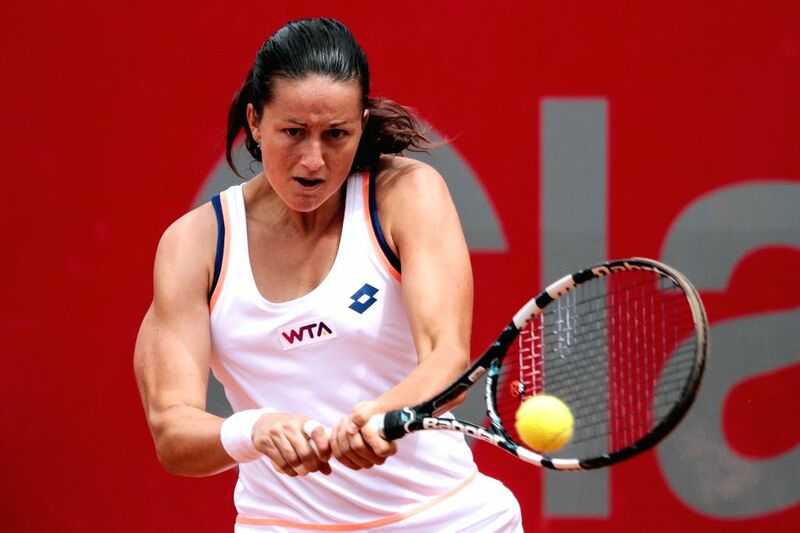 Lara Arruabarrena of Spain returns a hit to Jelena Jankovic of Serbia during their quarter-final match of the Claro Open Colsanitas of the Women's Tennis Association (WTA), in Bogota, Colombia, on April 11, 2014. Lara Arruabarrena lost 0-2.